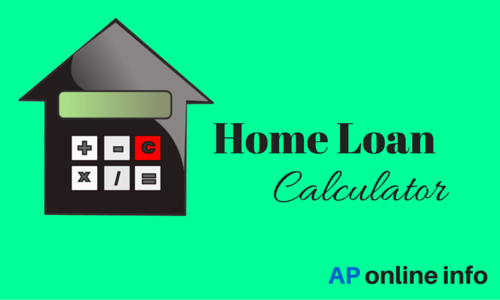 If you wants to apply for home loan or you can calculate already applied home loan EMI. To day i am sharing information about wonderful online tool. You can calculate your home loan EMI, With easily three steps through Home Loan EMI Calculator.Bankbazaar, Providing online tool for calculate home loan EMI through online. BankBazaar is the world's first neutral online marketplace for instant customised rate quotes on loans, credit cards and insurance policies products. Shop for loans & insurance just like you buy everything else now - online.They offer their services through web and mobile platforms, through which consumers can search for offers, compare, and customize it.It is a one-stop solution for all customers who hope to save time, effort and money through shorter search processes, instantaneous quotes and exclusive deals and discounts.Users get to access information on various financial institutions and their products, check their eligibility, determine the relevant documentation required and even apply online. How to Calculate Home loan EMI through online tool ? 2. Than click on "EMI Calculator"
7. Than Click on "Calculate" Button. 8. Finally get your Home loan EMI Status online. This article information purpose only. All images and download links in this content copyright of their respective owners, We don't have won/have these links. The Author of "AP online info" will not be liable for any losses, injuries, or damages from the display or use of this information.